Last Saturday, my daughter and I attended the Gay Lesbian Bisexual Transgender (GLBT) Political Caucus endorsement meeting. We are not members but wanted to observe the political process at work. Since it was on a Saturday, it was a great opportunity for learning and watching the political process at work for my teenager. This caucus has one of the most thorough screening and endorsement processes of most organizations. They initially send a questionnaire to candidates. In the distant past, just returning the questionnaire earned points in the community but these days it is the opposite. If you don’t return the questionnaire, you are in a small minority. Once they have received responses, they embark upon a rigorous screening process replete with assesments and scores of the candidate’s stance on relevant issues, electoral viability, and much more. The screening committee then makes recommendations to the full organization and all members are invited to participate in the final decision. It is not unusual for the screening committee recommendation to be overturned by the organization. In fact, in big races it happens often. This year, five of the seven Mayoral candiates vigorously sought the caucus endorsement. The committee recommended Adrian Garcia while Stephen Costello received the highest score from them. Garcia and Turner had near even scores. Chris Bell, a long-time ally of the community and the organization, received a surprisingly low score. Committee members indicated concerns about his electoral viability. Marty McVey received the lowest score but still appeared and asked the group for their support. Bill King submitted a questionnaire but chose not to screen with the organization. Ben Hall did not respond. With five candidates seeking their endorsement, the meeting broke into raucus debate over who should ultimately receive their blessing. Sylvester Turner garnered the most votes and had some of the highest profile people in the community speaking on his behalf – from the early founders to former Elected Officials to current colleage students. Emotions ran deep. As the caucus endorsement has been more sought after, the process has come under scrutiny. Many people are claiming that Turner “bought” the endorsement because he paid memberships for his supporters. Personally, I have always viewed the endorsement for races of this magnitude as a representation of which candidate is best organized. Paid memberships or not, he got the crowd out for the vote and drove the process in his favor. It seemed that other candidates did not work as hard at organizing within the membership. The Turner campaign had their act together for the meeting. In my humble opinion, all five of the candidates come out winners. The community knows that they are friendly to their issues and concerns. As the community grows, matures and expands, they will have more options of people to support. That is happening now. The bigger question is does the endorsement matter? Well, yes and no. In a Mayoral race, people are much more aware of the candidates and engage at a higher level. The endorsement will have a much greater impact on the Council races, school board, etc. 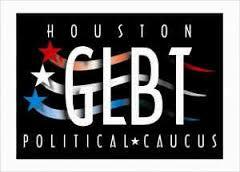 In these races, many progressive voters that support GLBT issues will follow their endorsement recommendations. Congrats to the community! Now, if I can just garner invite to the C (Conservative) Endorsement meeting…………..
Know anyone in Magic Circle? They can get you an invite for sure! The irony of those that stated that Sylvester “bought” the endorsement is that this is exactly what happened when Bill White ran his first campaign. I was there and argued for Sylvester, and suddenly you had people who had signed up that day to vote who were clearly campaign workers and Bill got the vote. Sylvester has supported the community because it was always the right thing to do, even if it was not the politically expedient thing to do for him or his future campaigns. As someone who has been to Acres Homes many times, he has expressed an embracing viewpoint and shown leadership that has expanded the values and minds of the community he serves.